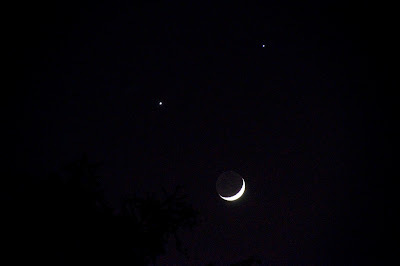 Jupiter, Venus and Moon send a text message on December 1st. 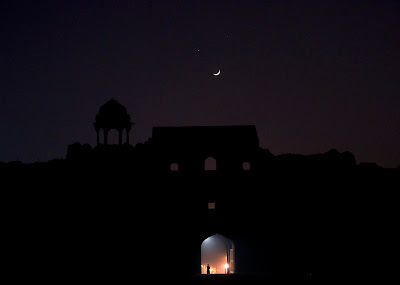 shot these from the Old Fort in Delhi. emperor Humayun died after he fell from the steps of his library(3rd pic). apparently he was watching Venus when he got distracted and lost his footing. 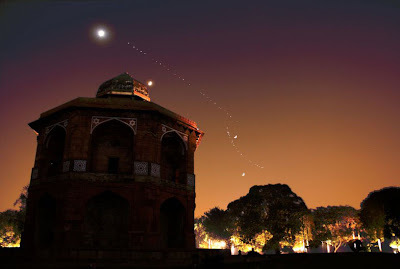 the last photo is a combination of 30 shots taken everyday for a month (from the same place and time of the day) showing the movements of the planets and moon over a period of a month before the smiley. 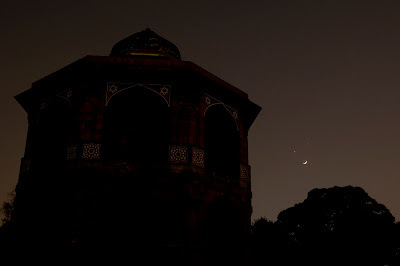 this was an experiment done by a dedicated group of amateur astronomers from Delhi, which i was a part of.